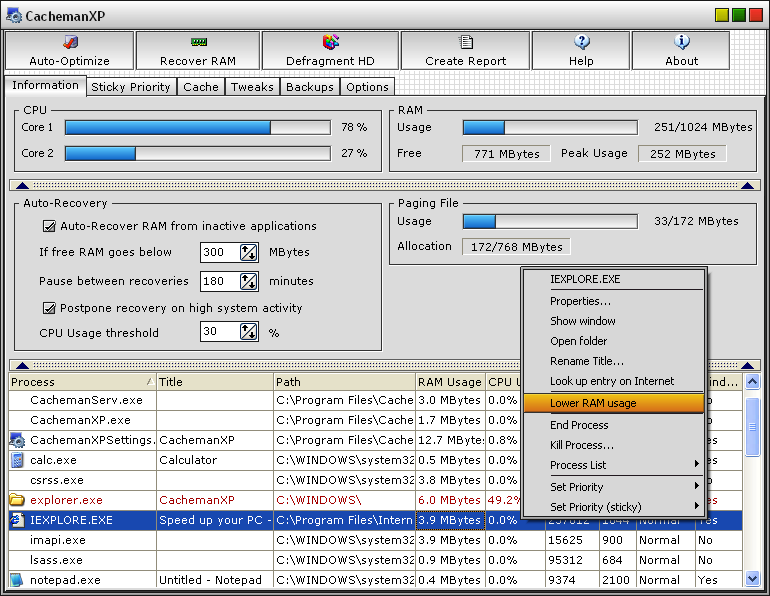 awdit desktop is a free software that helps improve performance on your Windows PC and fix errors that lead to PC freezes and crashes. awdit will notify of driver updates available, clean your registry, free up disk space, and allows control over startup programs with the the startup manager. You can clean your registry of invalid or redundant entries to help your PC performance. Registry errors accumulate in your PC and cause Windows errors. Cleanersoft Free Registry Fix will optimize your system registry by finding and removing errors and invalid entries. After fixing the invalid entries, your system will be more stable and run faster. For maximum safety, Free Registry Fix will make a backup of the repaired entries. You will be able to restore any changes made using the software by choosing Restore registry backup. 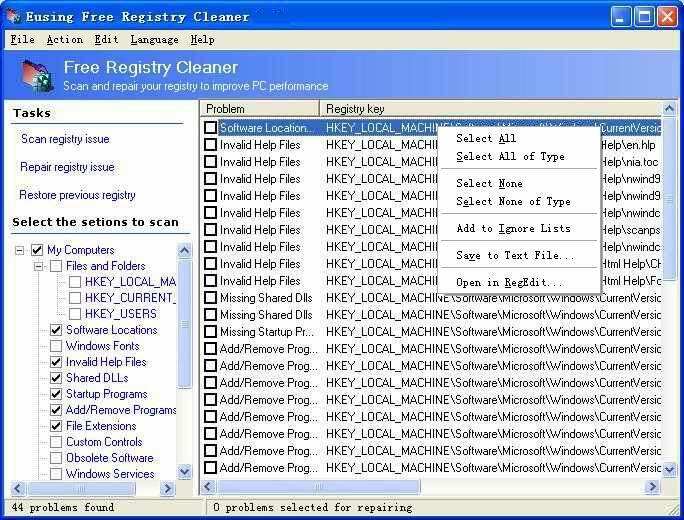 CleanMyPC Registry Cleaner scans the Windows registry and finds incorrect or obsolete information in the registry. By fixing these obsolete information in Windows registry, your system will run faster and error free. CleanMyPC defragments the registry after it removes unnecessary data, allowing your computer to run faster, and enhancing its stability. Also features registry backup/restore, startup/BHO organizer, and privacy eraser feature. You can select the individual option or check all registry categories to customize how it scans your registry according to your demands. It will find out all your registry errors & junks that cause computer freezing, system crashes, instability and other problems and clean, fix and tune your registry. You can also schedule regular registry scans with built-in scheduler to automatically clean the registry every day, once a week or once a month. During the normal operation of a Windows system, registry data is constantly being written to and removed from the registry. Over time this data becomes scattered within the registry file and when information is deleted from the registry holes are left which fragment the data within the registry. Our Free Registry Defrag optimizes your registry by removing gaps and wasted space, thus improves the whole system performance.